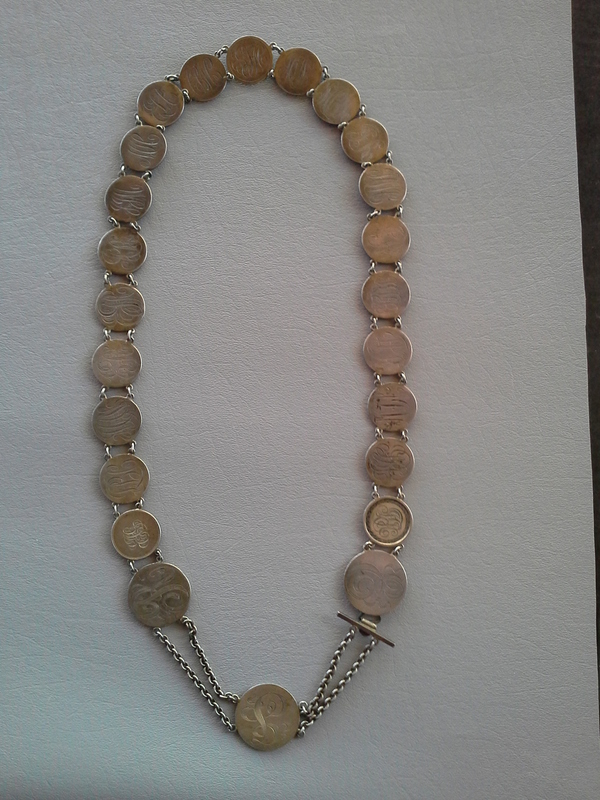 The love token jewelry category has some exceedingly scarce items in it. 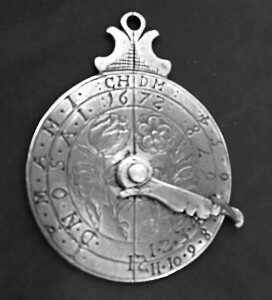 Lockets, belts, rings, and chatelaines represent the rarities. Rings are just a little more apt to be found than the other three. 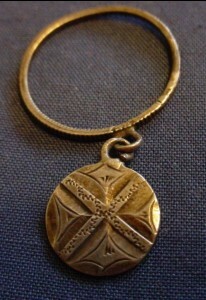 Chatelaines were used by women to carry everyday household items. 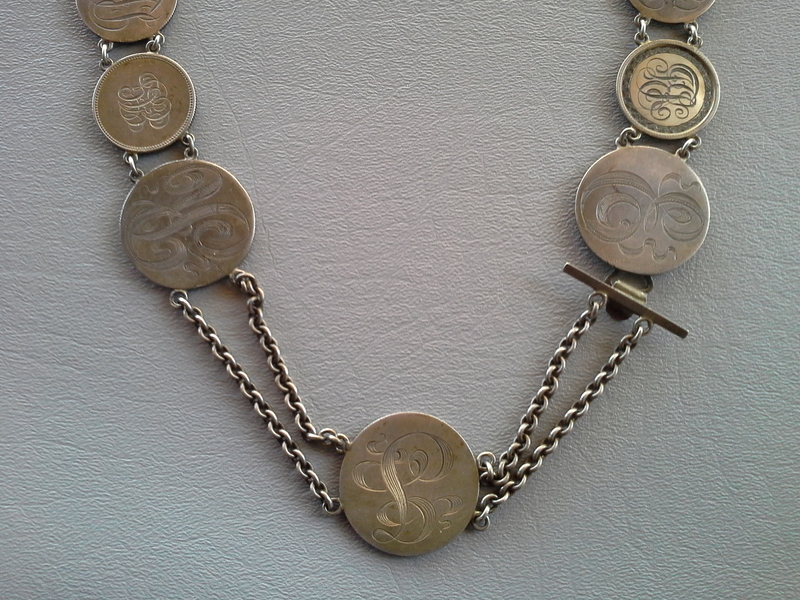 They clipped at the waist and had multiple chains with hooks hanging from them. From these hooks, one might hang keys, a retractable pencil, a celluloid notepad, a stamp case, and sewing implements like thimbles or needles housed in a needle case. 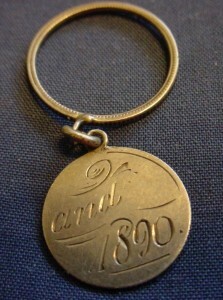 A love token locket is made from two coin halves that have been hinged together. 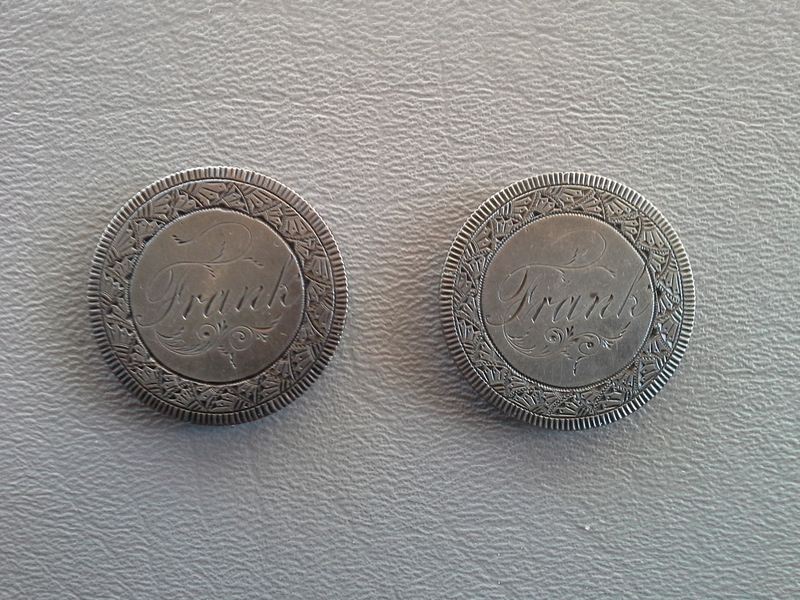 Generally when closed, it looks like a regular coin. 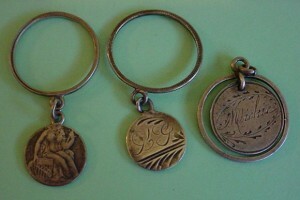 It is inside these love token lockets, also called box coins or opium dollars, that houses a place for a photo and an inscription. 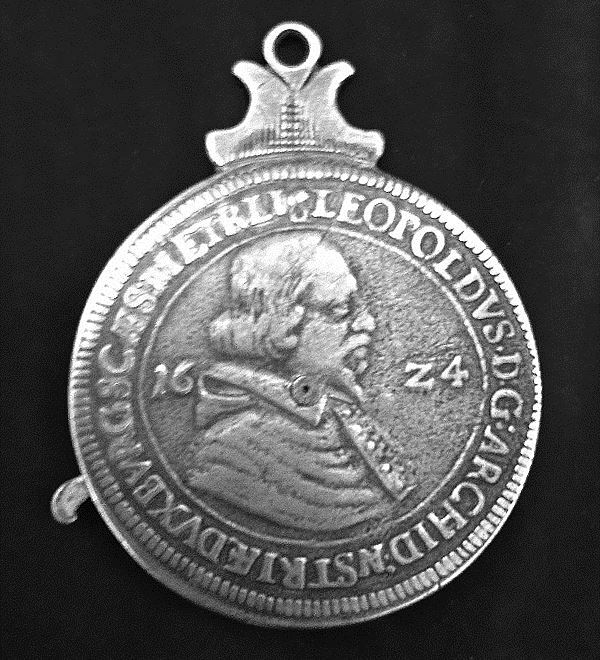 They are rare, most of these box coin lockets were never engraved. 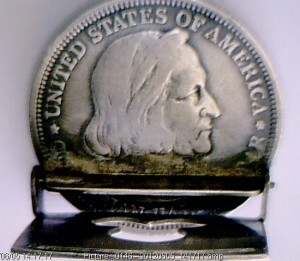 Even rarer is a box coin locket that has been engraved on the outside, to look like a regular love token. 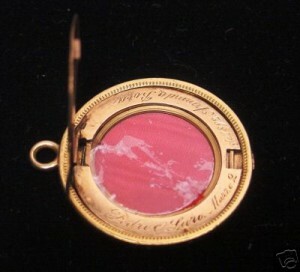 Love token locket on a twenty dollar gold coin. Note the engraving inside the locket and a place for a photograph. 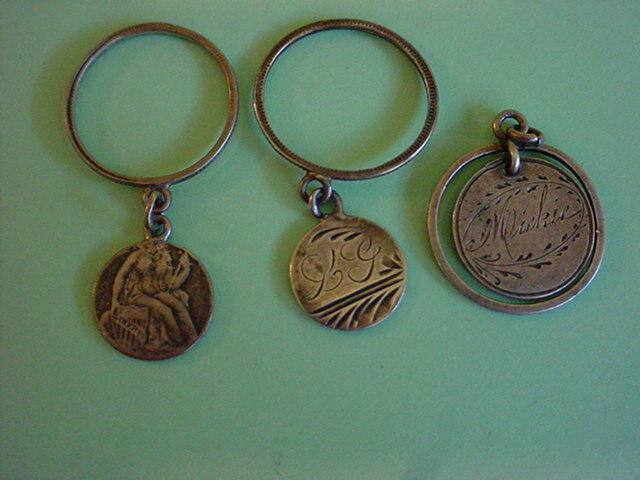 Love token rings were generally made from the smallest coins. 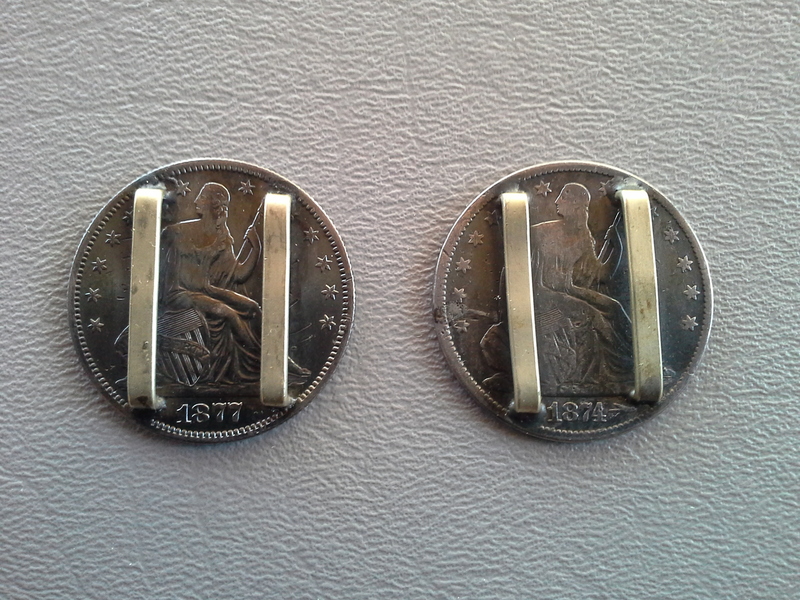 One dollar gold coins, half dimes, dimes, and dimes cut down to the size of a half dimes were preferred. 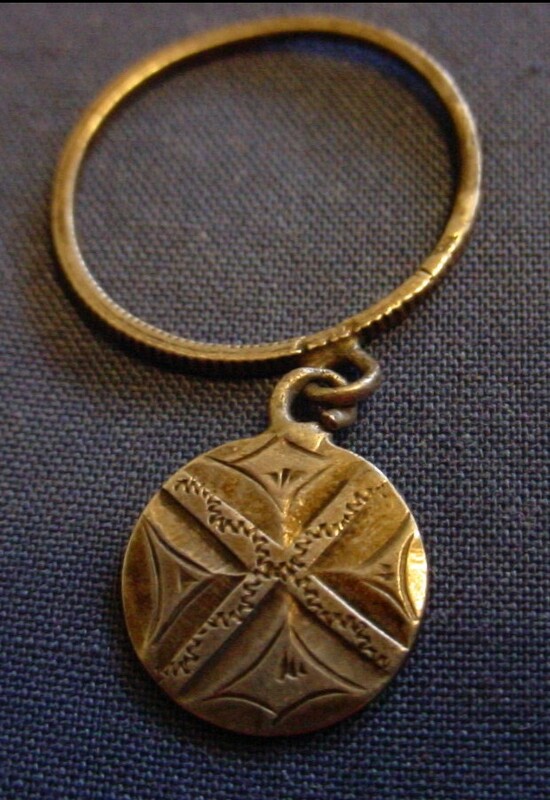 The love token coin was suspended from a ring and moved around freely like a charm. 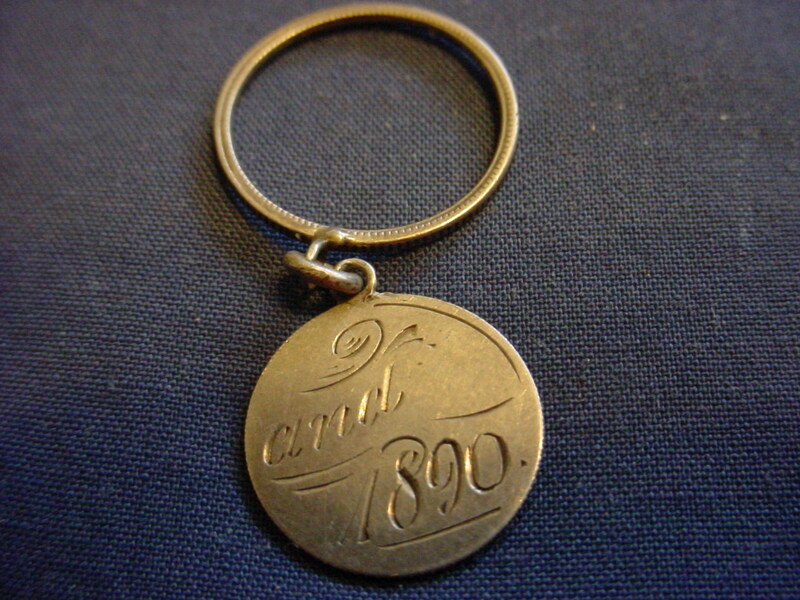 Quite often the ring band was fashioned from the perimeter of a coin. 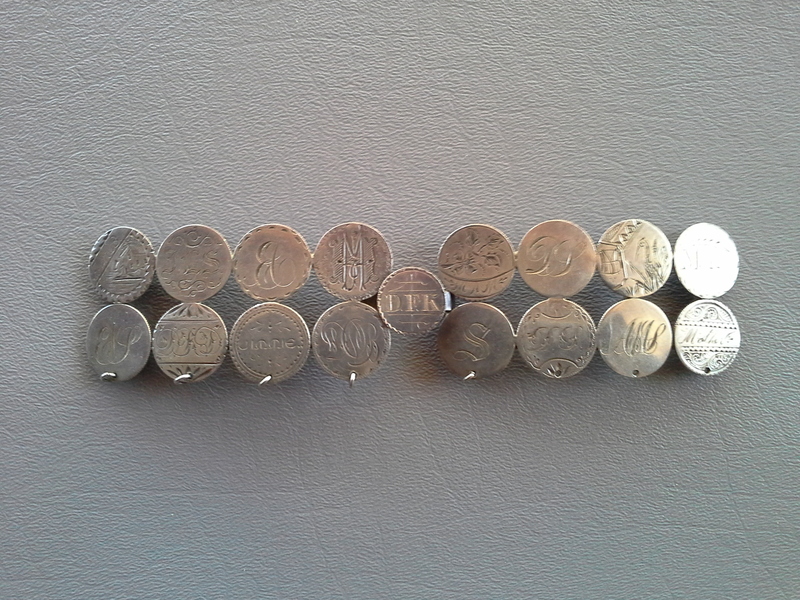 The silver rings generally have a reeded edge design created by the coin’s rim and it faces outward from the ring. 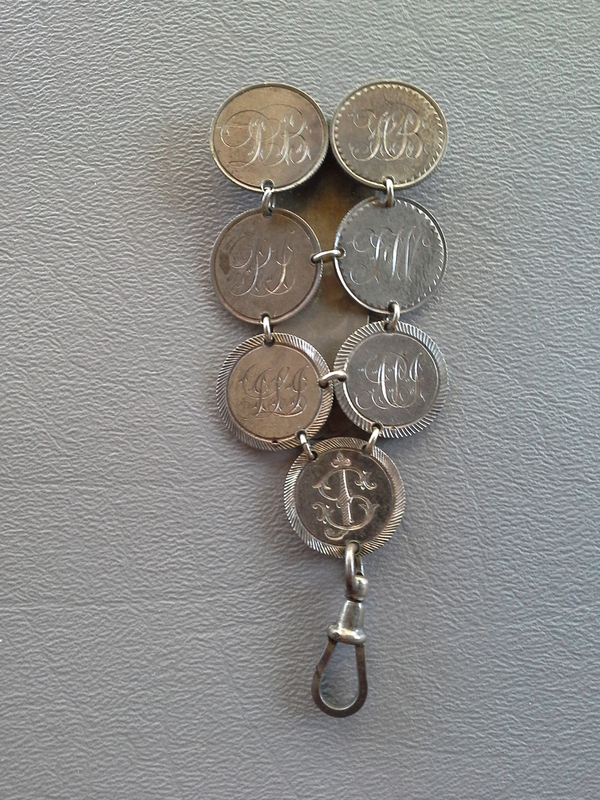 The love token belts are very tough to find. 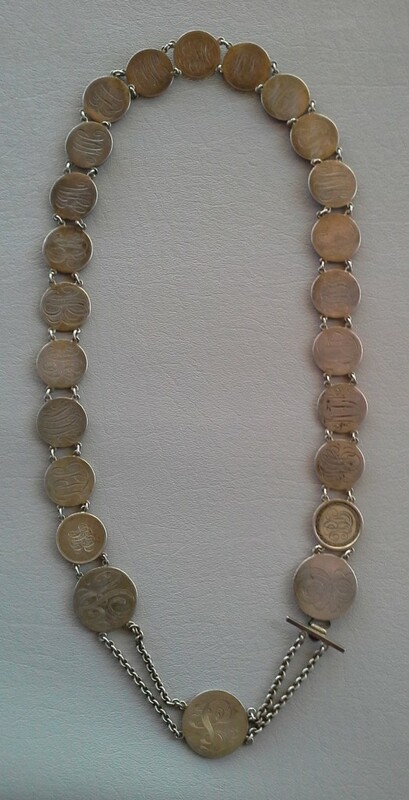 Known is one made from Barber quarters, one with silver dollars with yachting awards, and one made from the English style enameled coins. 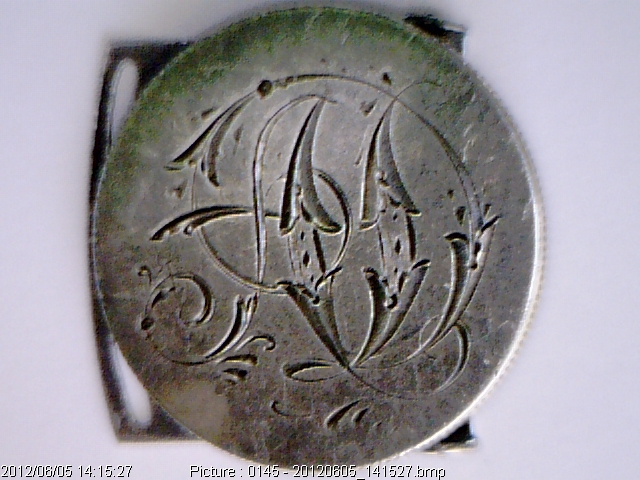 The English style is not truly a love token as the images are just the recreation of the coin design in enamel. 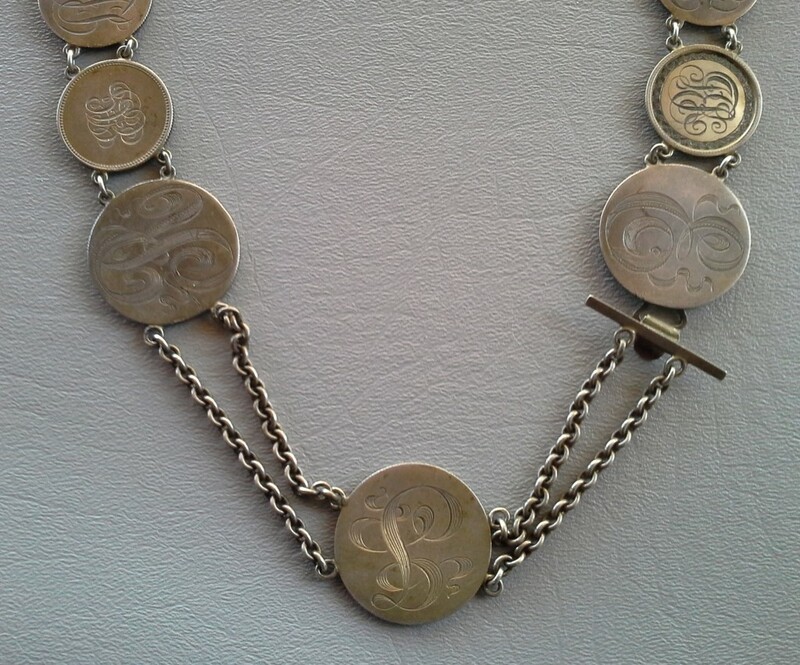 The Yachting one too represents love tokens in their broader sense…hand engraved and on a coin but not carrying the true love token sentiments. 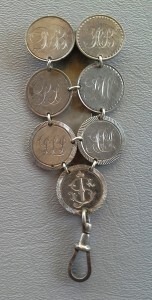 from a dime to create a half dime sized love token. Cape hook or sweater guard. 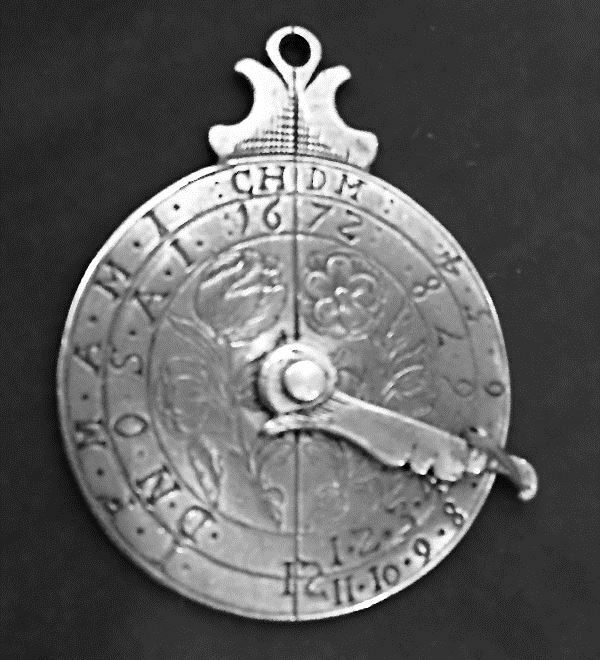 Unusual time keeping devise on a 1624 Leopold thaler. 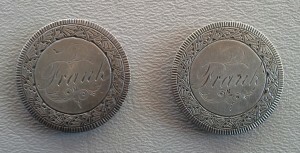 Matched pair engraved “Frank”. 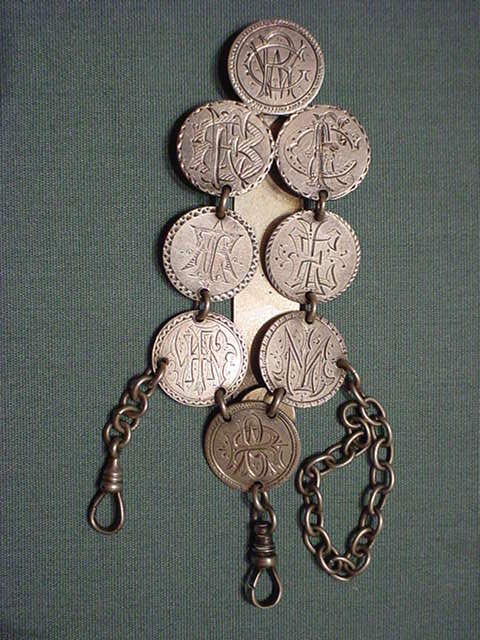 Interesting sash or belt slides. 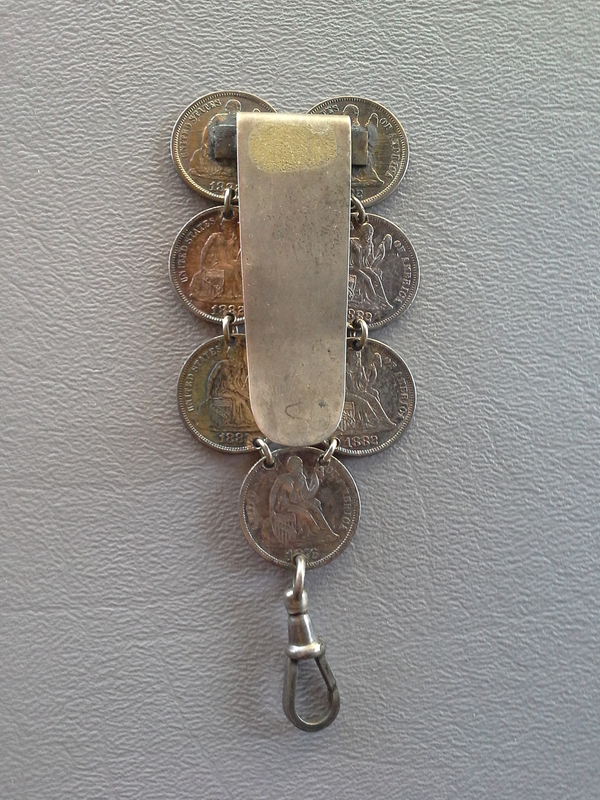 Belt buckle made from dimes. Detail of Barber belt. 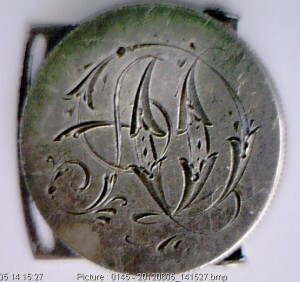 Note the later monogram style. 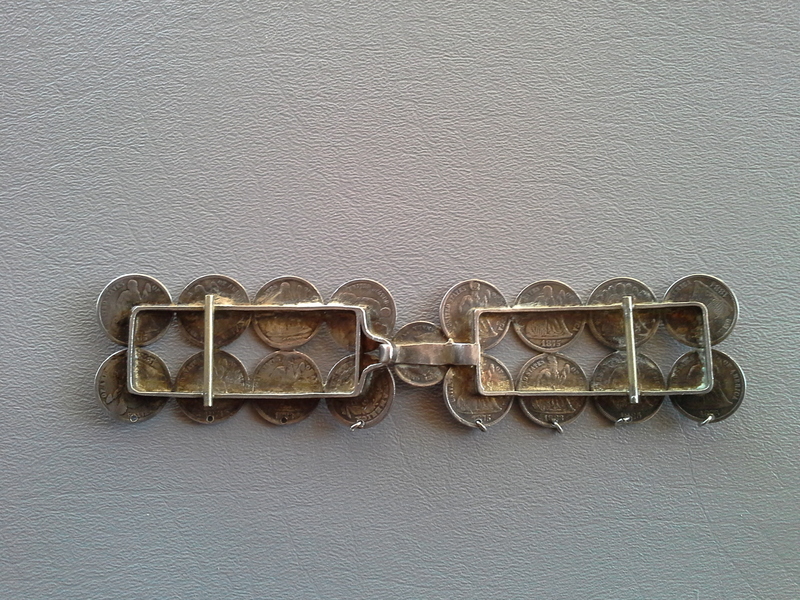 Above, detail of belt front and closure.